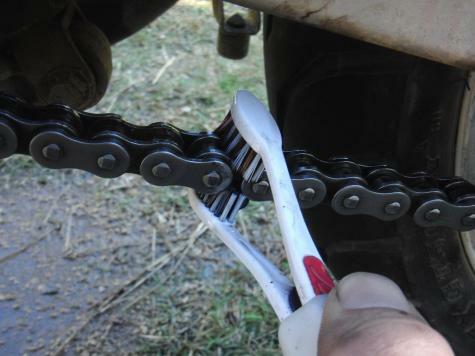 We picked up a pair of toothbrushes from the supermarket for $2 and converted them into an effective chain cleaning brush. Two small blobs of Plastimake were added to fasten the toothbrushes together, with the bristles facing inwards. 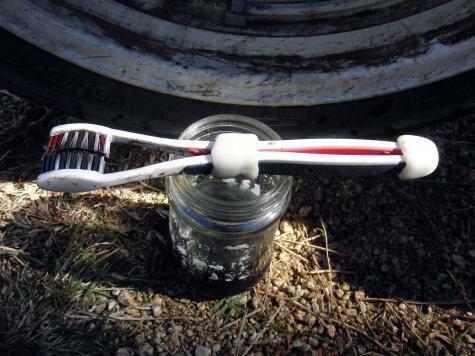 We used this brush tool with some Kerosene to clean a motorbike chain, however it would certainly work on a bicycle chain too.